This popular Malaysia treat on a stick is something I’ve been wanting to make for a long time. Since I’ve been grilling lots of chicken over the past month, I decided to try out some grilled chicken satays too. This recipe uses a quick acting marinade that adds a ton of flavor to the chicken. Instead of using my outdoor grill to cook these, I used an indoor counter top eclectic Cuisinart griddler. You can also use a grill pan on the stove top. 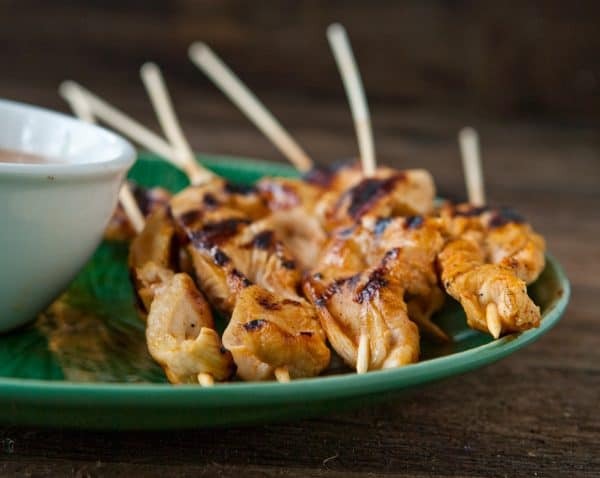 These tasty little chicken strips on a stick are such a treat for kids and adults alike, because who doesn’t like food on a stick? I made a peanut dipping sauce to go along with them. We all loved them. 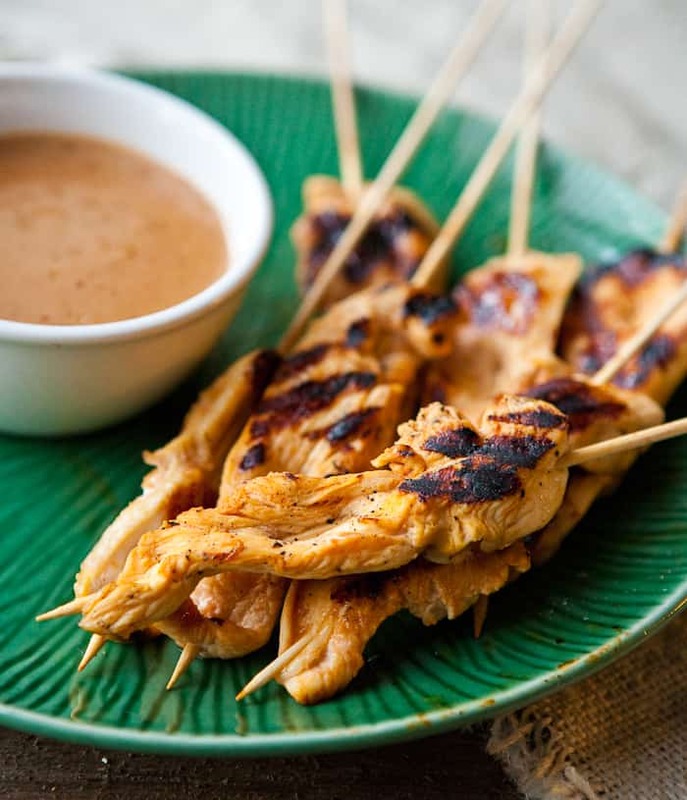 I served these chicken satays with a simple tossed salad. I added this along with 4 more great grilled chicken recipes you can find here on the Best Grilled Chicken Recipes page at Tablespoon.com. Preheat grill. Combine 1/2 cup coconut milk, 2 teaspoons lime juice, 1 teaspoon curry paste, 1/4 teaspoon sesame oil and 1/4 teaspoon fish sauce in a large bowl. Mix well. Add chicken. Marinate for 2 - 3 hours. 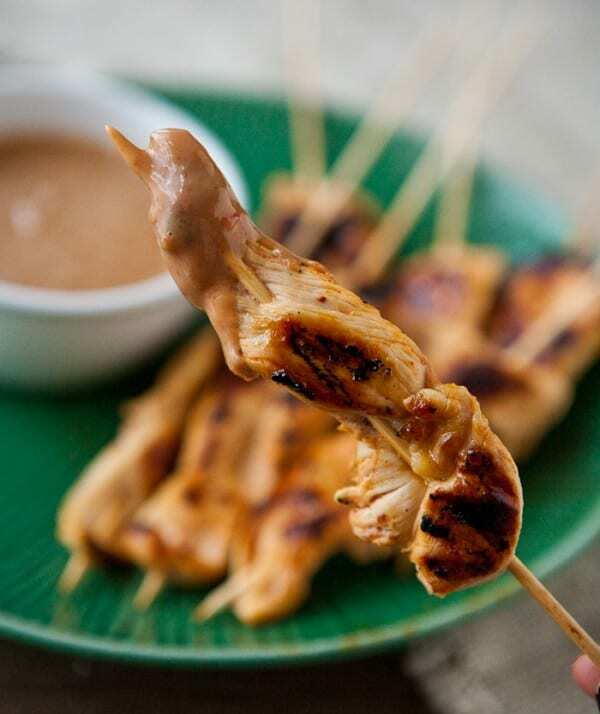 Combine ingredients for peanut dipping sauce: 1/4 cup coconut milk, 2 teaspoons lime juice, 1/4 cup peanut butter, 1 tablespoon sweet chili sauce and 1 teaspoon soy sauce. Mix well to combine and set aside. Skewer chicken with bamboo skewers. Place chicken on grill and cook until done, about 15 - 20 minutes, or until the internal temperature of the chicken breast has reached 165 degrees. Serve chicken with peanut dipping sauce as an appetizer or side. This post sponsored by Tablespoon. This looks delicious. I could go for some chicken right now. peanut dipping sauce… what’s not suppose to like? I’ve wanted to make these forever, they look so yummy and peanut sauce is one of my favorite things! According to your directions, the grill would be running for 2-3 hours. Sarıyer Demirdöküm Kombi Servisi ve ECA, Vaillant, Ariston, Baykan ve diğer markaların teknik servis hizmetlerini Sarıyer ve semtlerine profesyonel kombi teknik servislemiz ile 7/24 destek sağlamaktayız.